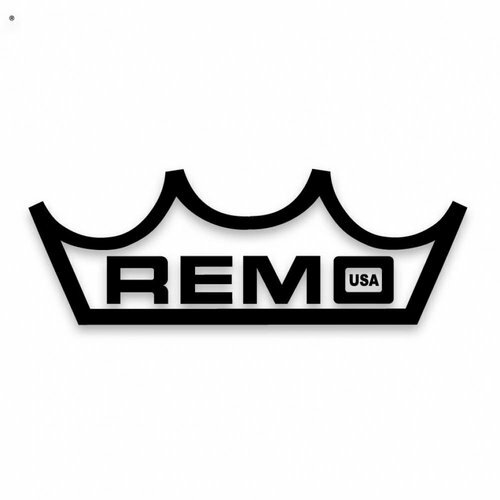 REMO INC., IS THE WORLD'S LARGEST DRUMHEAD COMPANY. FOR 60 YEARS WE HAVE LED THE WAY IN SYNTHETIC DRUMHEAD AND SHELL DEVELOPMENT TO ENHANCE AND EXPAND THE POSSIBILITIES OF PERCUSSION. About Remo: Remo D Belli was a percussion pioneer. In 1957, he invented the first successful synthetic Mylar® drumheads, today’s industry standard. For over 60 years, Remo, Inc. has constantly and consistently broken new ground when it comes to industry firsts. Ultimately, when it comes to our expertise as a drumhead manufacturer, nothing can touch the technical and musical advantages that Remo Drumheads provide. The Remo story began after WWII, when experiments were being made with Mylar®, a polyester film made by DuPont®. At that time, Mylar® was used during the war as a heat resistant film for nighttime reconnaissance flights. The unusually durable, inexpensive, weather resistant material that provided previously unattainable pitch, tone and consistency intrigued Remo D Belli, an already successful professional drummer. Remo began his legacy with the Weatherking® drumheads, the first commercially successful synthetic drumhead design. Throughout the 60’s, 70’s and 80’s, Remo continued to innovate and became the world’s drumhead specialist in virtually every category from percussionists and orchestral timpanists to drum corps, jazz, blues and rock. Technical innovation never before imagined in drumheads reached new heights, thanks to new laminations, processes and coatings found in other Remo firsts such as Controlled Sound™ , Pinstripe®, Smooth White™ , Powerstroke®, Fiberskyn®, Suede®, Renaissance®, Nuskyn®, Skyndeep® and Comfort Sound Technology™ . Understanding how drumheads should be designed, and how they should ultimately sound, soon became our foundation for other applications such as Drumset, Marching, Concert, Recreational, Health & Wellness and World Percussion. In 1983, Remo launched the World Percussion product line using Acousticon® Shells, a 100% recycled wood fiber. The result was more than a revolution in lightweight, durable, great sounding drums. It marked a seismic shift in the availability of a broad range of ethnic drums for the recreational and professional applications, and helped create the global community of drummers today. Anyone who has experienced a drum circle, jam or performance knows the transformative effect of rhythm. It moves, inspires and thrills. From street corners, parks, beaches, community centers, wellness centers, concerts and schools, drums are tools that connect us on a deep rhythmic level. Drumming is an interactive community tool that promotes wellbeing and life enhancement. At Remo, we are committed to ensuring that everyone has a chance to revel in this activity. Through our ongoing efforts, the professional, the enthusiast, the children, the elderly, the at-risk, and those with disabilities are brought the joy of drumming. At Remo, sustain isn’t only a dimension of sound. We are proud to say that Remo, Inc. has always been at the forefront of sustainable manufacturing. We were the first to successfully introduce an alternative to calfskin drumheads and traditional wood drum shells with Remo film processing technology and Acousticon® drum shells, respectively. We’ve been recognized for environmentally responsible manufacturing every year since 1998 by winning the WRAP Award. (California Waste Reduction Award Program). We are also sustaining jobs by continuing to manufacture in the USA, and we continue to push the limits of drumhead and drum technology while limiting our impact on the environment. We are focused on developing and delivering quality accessories, instruments and programs for use in addressing all levels and aspects of global drumming activities. All of these combined efforts are what make Remo a worldwide leader in the percussion, lifestyle and specials needs industries.